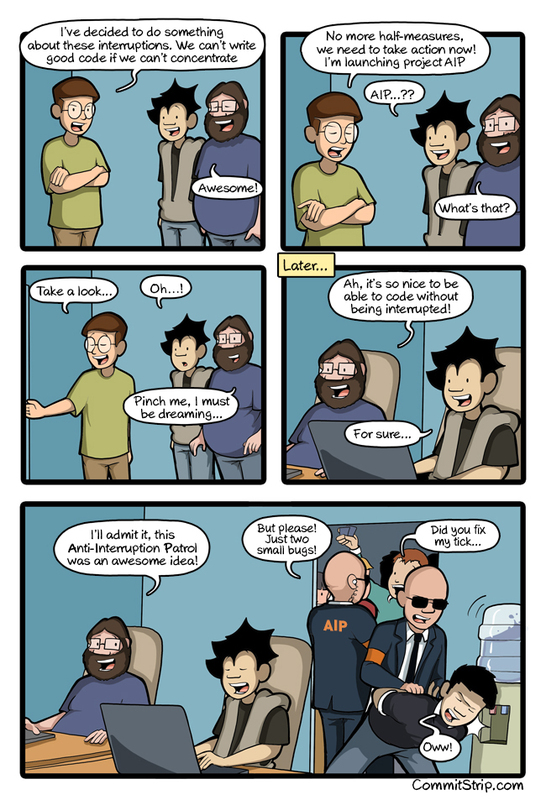 Today we say hello to Toucan Toco, a new CommitStrip sponsor! Toucan Toco is a Paris-based start-up who have created a very smart dataviz application. They’re real tech-heads, and use all the latest best practices (CI, TDD and so on) and a really modern stack. Today’s strip was inspired by their team, so if you want to work somewhere with an AIP in real life (almost), Toucan Toco is hiring!